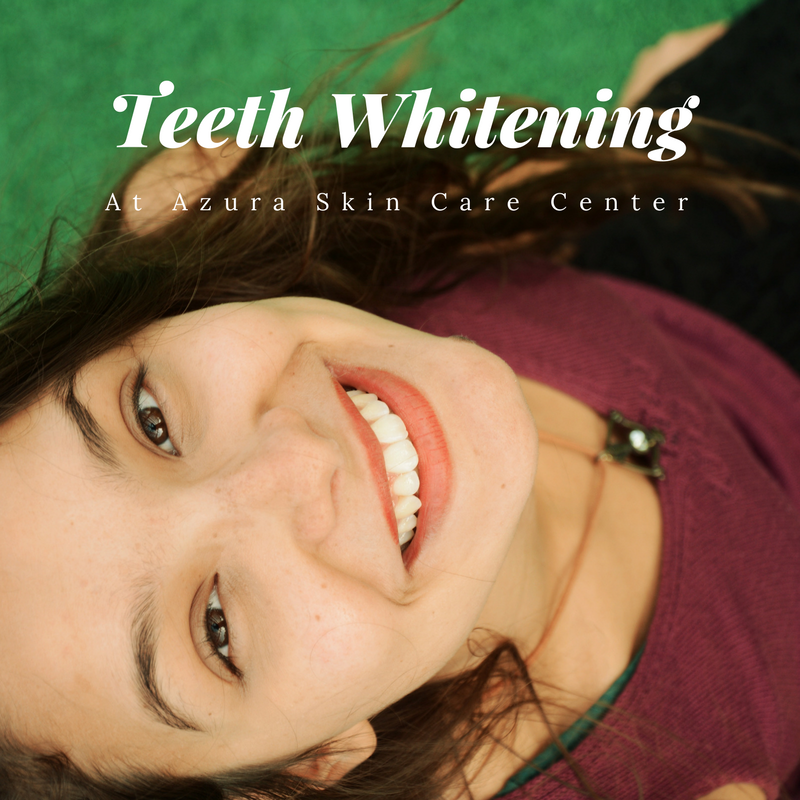 Azura Skin Care Center is pleased to offer teeth whitening. The treatment takes about 40 minutes total and can be done safely on a monthly basis. Your treatment also includes a complimentary take-home whitening pen that can be used for two weeks after your appointment. At Azura, we utilize a fluoride-based whitening formula that includes anti-sensitivity agents to help dramatically reduce the sensitivity that our customers may experience during and after their treatment. Although experiencing mild sensitivity is normal, professional whitening products are designed to reduce this unpleasant experience. Make your appointment today and get one step closer to a whiter smile!